Located half way along Peninsula Malaysia's west coast, Kuala Lumpur is situated on the convergence of the Gombek and Klang Rivers. Just 35km from the coastline, Kuala Lumpur is Malaysia's largest city and is also the capital. A bustling modern city, KL (as it's known to the locals) is a melting pot of culture, affordable 5 star accommodation, fantastic discount shopping and some of the most amazing cuisine. Within in an hour of the city you'll find a spectacular array of natural wonders as well as a great range of activities and attractions from the Old Town to the Golden Triangle, Petronas Twin Towers, Chow Kit, Brickfields and more. 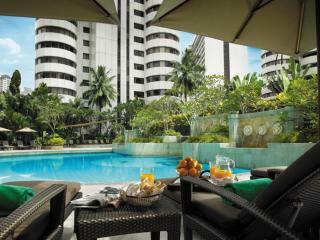 Kuala Lumpur accommodation is renowned for its unsurpassed quality yet amazing affordability. Choose from our 4 and 5 star accommodation options and enjoy a luxury experience without the price tag. Each hotel is conveniently located close to the public transport network as well as a range of popular activities and attractions. Accommodation enjoys easy access to restaurants and nightlife and also boasts an outstanding range of onsite facilities including spectacular swimming pools, spas, fitness centres, bars and restaurants, gift shops, hairdressing and beauty salons, currency exchange and more. 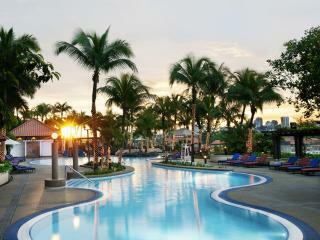 Enjoy the best value for money with a great range of Kuala Lumpur holiday packages. Saving you both time and money, these package deals bundle together everything from flights and accommodation to transfers, travel insurance, tours, meal plans and more. Better yet, by booking a Kuala Lumpur holiday package you also benefit from a great range of travel bonuses such as welcome drinks on arrival, complimentary room upgrades, discounts and vouchers to onsite spa services and massages and much more. As part of Malaysia, Kuala Lumpur's currency is known as the ringgit and is expressed as RM or MYR. One ringgit is divided into 100 sen. Kuala Lumpur's population is approximately 1.8 million, the majority of which speak Bahasa Malaysia however many are also familiar with English. Kuala Lumpur follows the metric system of measurement and the time zone is GMT+ 8 hours. Kuala Lumpur's climate is characterised by warm, sunny and consistent weather with temperatures remaining at between 22 and 33 degrees Celsius year round.